← Docklands Lotus – Great location but the beauty of the Lotus just didn’t shine through. The beauty of the Central Market Facade. Wayne and I have been living in Hobart for 7 years now and we really do love it here. Having moved from Adelaide seven years ago we now call Hobart home. But as with any place you’ve lived, and if you’ve traveled and moved house as much as I have in my life, you find there are things you do miss from your previous home town/state. 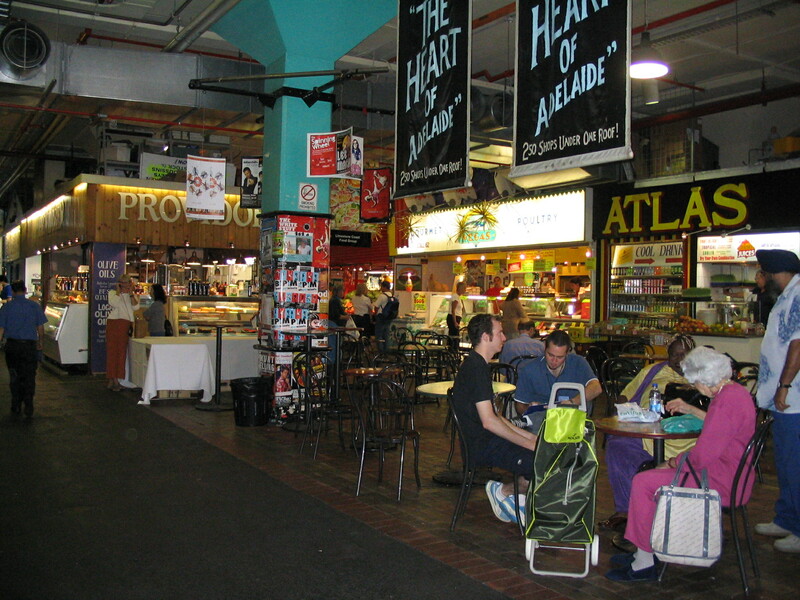 I miss the Adelaide Central Market. 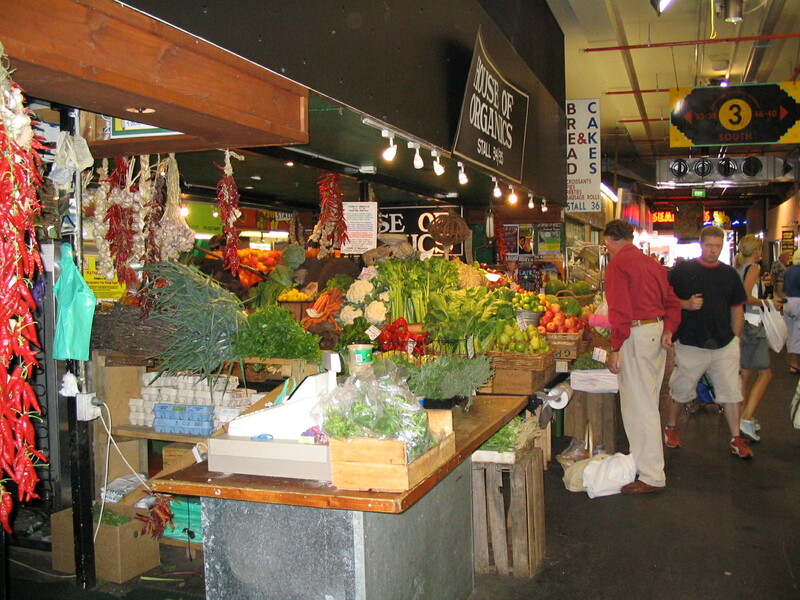 I believe they are the best fresh food markets in Australia. So much to choose from, every type of food item you can image from nearly everywhere in the world. It really is your one shop stop in Adelaide. Most people say to us ‘How is that possible? Tassie is supposed to have some of the best produce in Australia.’ Well yes. I believe this but unfortunately the best of everything seems to go either interstate, overseas or to the restaurants. And although we do have small markets scattered throughout Tasmania there is nothing quite like the Adelaide Central Market anywhere in Tasmania. Look at all those chillies. So why do I love and miss this iconic market so much? With so many different nationalities residing in Adelaide, sharing their recipes and traditions, this is the place that represents Australia’s multiculturalism. The range of produce and ingredients will amaze and excite you. From the moment you enter this market you experience the sights, sounds and smells associated with these cultures, making you want to buy everything then go home to cook, cook, cook! This really is a place for anyone fascinated by food, people and history. A place no local or tourist should miss. A display of colour, nationality, sound and smell. There’s also great history behind the market. 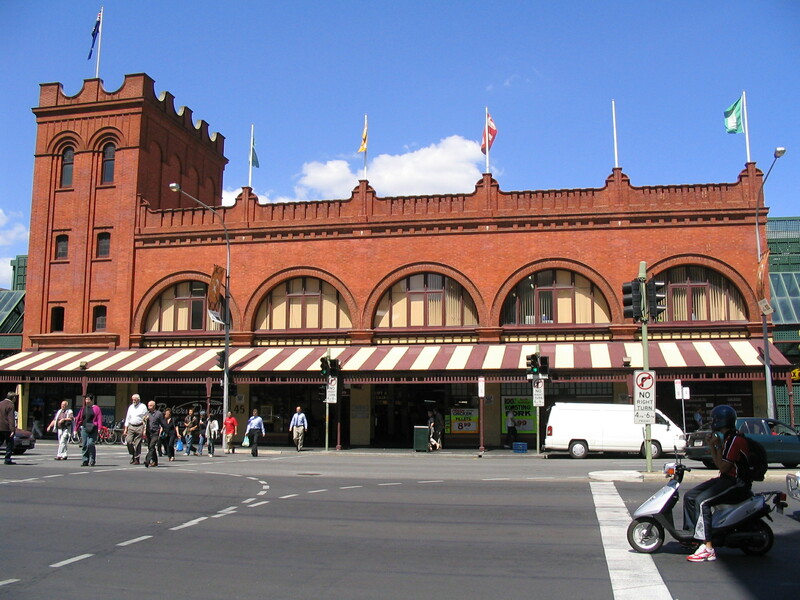 Adelaide Central Market dates back to 1869, when a small group of market gardeners broke free of the East End market area to establish their own market. They settled on a site between Grote and Gouger Streets which they named City Market. The official opening was on January 22, 1870 which then led to the City Market being a hub for trading direct to consumers. Over the next 130 years this market evolved from one shed housing 87 carts to the multi- level red brick building used today. 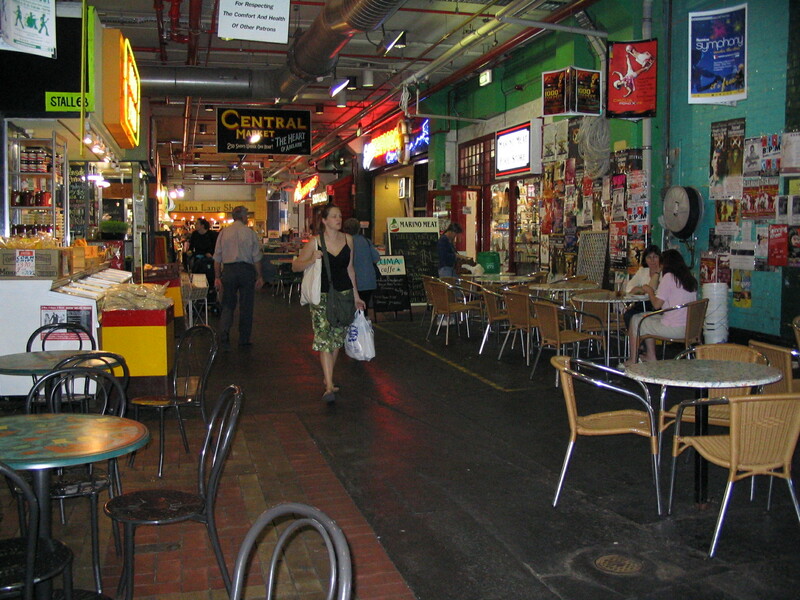 There are now shops, stalls, cafes, arcades and a 1000 space carpark all under the one roof. And to top it all off it is the biggest fresh produce market in the southern hemisphere. 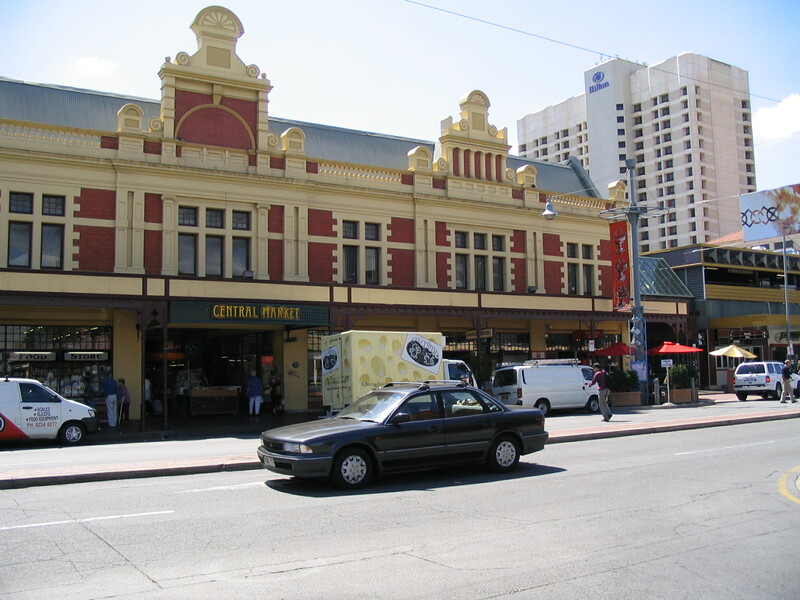 The Adelaide Central Market – An Icon. 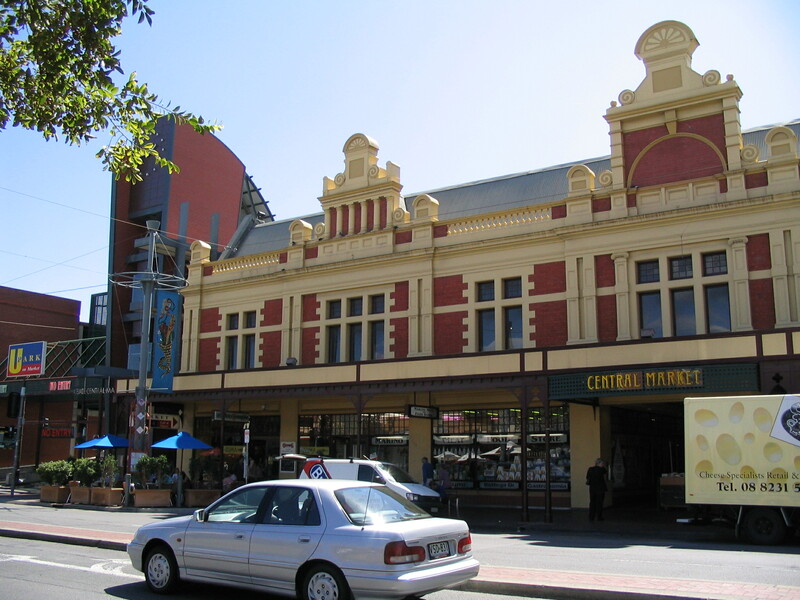 Today you can still see the beautiful facades on Grote Street dating back to 1900 and Gouger Street dating back to 1906. Great plans were drawn up for this building with gas lighting eventually being replaced by electricity and external shops lining the street. Then along came the arcade with work commencing in 1915. More shops! Businesses then moved into the area to capitalise on the trade in the area and the market continued to expand through many ups and downs to bring us to the wonderful market we have today. 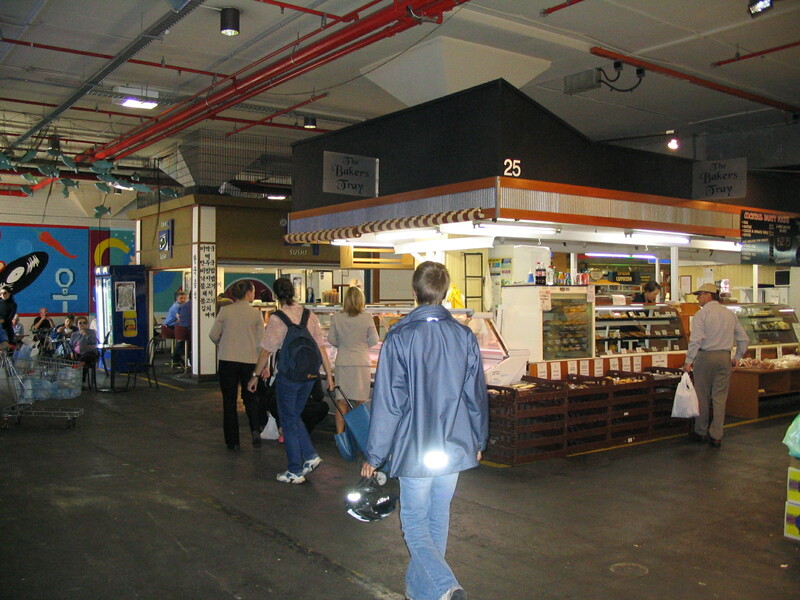 For most of us the appeal of the market is to be able to shop for an incredible array of fresh produce, cheese, meats, breads, cakes and watching the characters of the market while you stop for a coffee or lunch before returning to shop for delights from around the world or from just around the corner. It is a rainbow of colour, a symphony of sound and the nose tingles with the aromas of fresh brewed coffee and fresh baked bread. Some food, a coffee and maybe some lunch! With so many stalls and shops on offer I will share some of my favourites with you. First would have to be Charlesworth Nuts (www.charlesworthnuts.com.au), a third generation family owed company. In 1934, Herb Charlesworth bought this small fruit and nut stall in the market as an interest for his wife Doris. Over the years the stall doubled in size and the Charlesworth family went on to open numerous stores throughout South Australia. Their success comes from the fact that they use only the highest quality fruit and nuts, of which approximately 85% are sourced from within Australia. The wonders of the Central Market. Another well-known Adelaide icon and favourite of mine is Haigh’s Chocolates (www.haighschocolates.com.au), who have been known for their wonderful, rich, smooth and creamy chocolate since 1915. This fourth generation family owned and run business still has complete control over the making of their chocolate, from the sourcing of the cocoa beans to the selling of the chocolate itself. 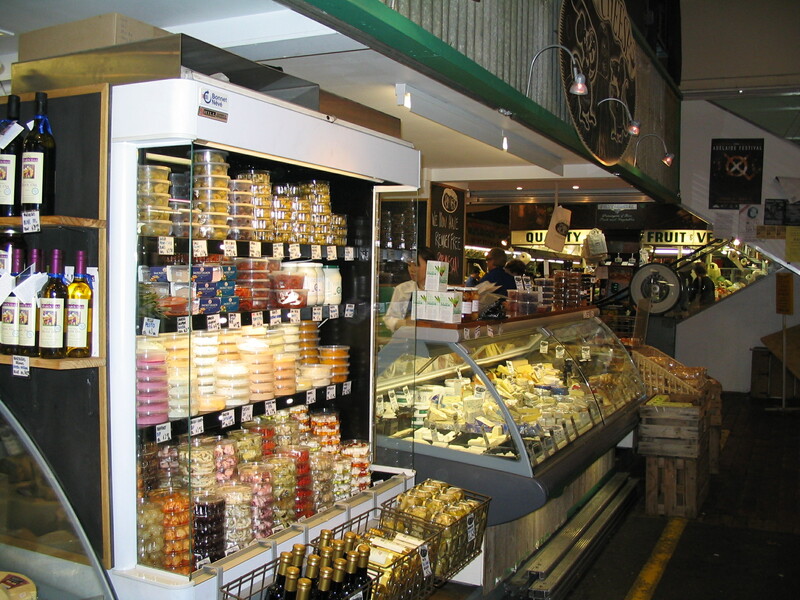 With over 250 varieties to choose from and the knowledge that many of these have won awards, you could spend all day in their Market Arcade shop trying to choose. You will eventually come across House of Organics selling fresh fruit and vegetables. Their labelling system makes it easy to distinguish which foods are 100% organic (chemical free), 50/50 (chemical free or minimal spraying) and generic (some chemicals used under stringent regulations). At Lucia’s Fine Foods you’ll find a showcase of new and exciting products including olive oils, breads, Italian foods and pastas. The Mushroom House has a large selection of every mushroom imaginable. The Yoghurt Shop has the creamiest yoghurt ever. Smelly Cheese and Say Cheese can supply everything you need for that all important cheese platter you want to have on the weekend and the T-bar is you place to go for fine teas and of course all the paraphernalia you need to make a great pot of tea! Ahhh! Cheese, cheese and more cheese! But if you are in the market for the best meat products and smallgoods head to Barossa Fine Foods (www.barossafinefoods.com.au). Franz and Barbara Knoll from Barossa Fine Foods stock a diverse range of smallgoods and meats which include free range and organic products. Again this is a family run business and over the years they have won numerous awards for their wonderful and tasty products. And the list goes on and the shops continue up and down every aisle, down every arcade and in every nook and cranny! Many stalls and stores have been around for years and most Adeladians would be able to recommend their favourites and share a story or two I’m sure. So many shops and stalls to choose from. Some of you may be lucky enough to leave without spending too much money, but I really doubt it. It’s just too hard to resist such temptations when you are tantalised by the sights, smells, sounds and atmosphere of the biggest fresh produce market in the southern hemisphere. You can see why this could be the most visited place in Adelaide with over 8.5 million visitors every year. Hey everyone has to eat so there is some attraction! One of the many stalls full of goodies. Also check out their website for all the up to date news and happenings along with more information on the history of this Adelaide Icon. 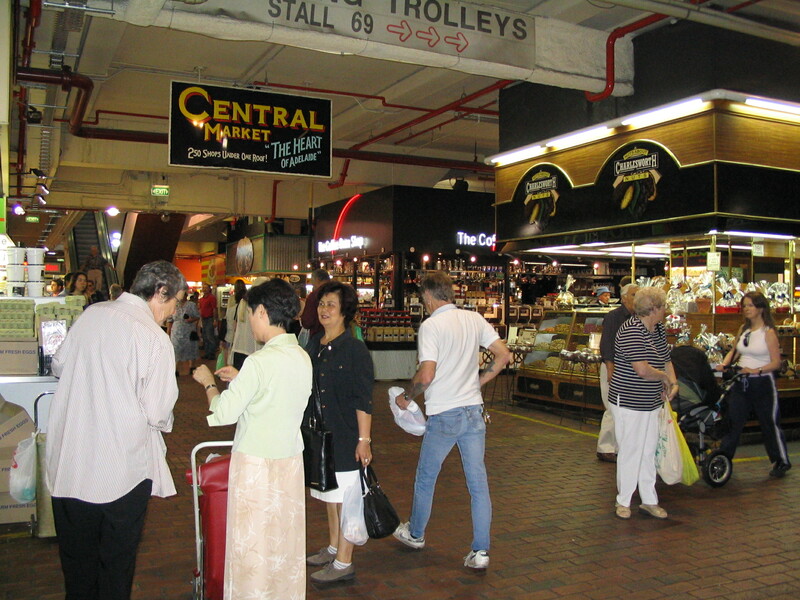 www.adelaidecentralmarket.com.au. You may just go for an hour but I bet you will spend the whole day. And one thing’s for sure…. You won’t go home hungry! This entry was posted in Home, My travels over the years, Stories of my life, travels and Tasmania and tagged Adelaide, Australia, Australian Food, Central Market, Cooking, Food, Holiday, Inspiration, Markets, Reviews, Travel. Bookmark the permalink.